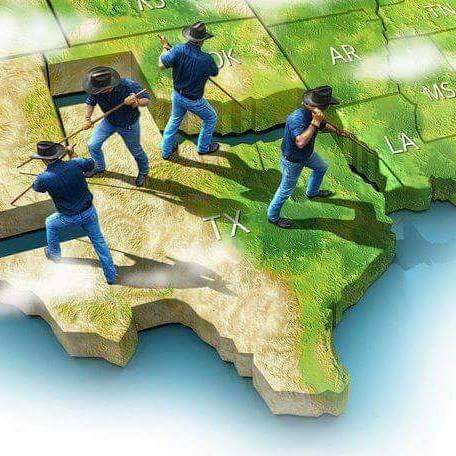 As the nation began to divide itself throughout the year of 1860, the rallying cry for Texas to withdraw from the Union began in earnest in late 1860. On February 1, 1861, members of the Legislature, and a huge crowd of private citizens, packed the House galleries in the state capital to watch the final vote of 166-7 on the question of secession. Being a history buff, with a special fondness for genealogy, I always like to think about the contrast of our state’s historical events with my own family’s history in Texas. In February of 1861, my great-great grandfather was ranching and farming in the Seguin area with his second wife (the first having died in 1853 along with his oldest daughter of 10), and five of the eight eventual children, aged 16 for Catherina down to baby Anna Maria. When my great-great grandfather arrived in 1848, Texas was still a relative newcomer to the United States, having just joined the Union barely two and half years earlier. Regardless, even after having been here for over a dozen years, it must have been quite an exciting, and most likely worrisome, time to be a Texan in 1861. The minute I first saw the “Brexit” slogan that denoted the UK’s desire to leave the European Union.. ie.. “Britain Exit”, the first thing that popped into my head was “Texit”, or “Texas Exit”. After all, we’d be roughly the 10th largest economy in the world, all by ourselves. 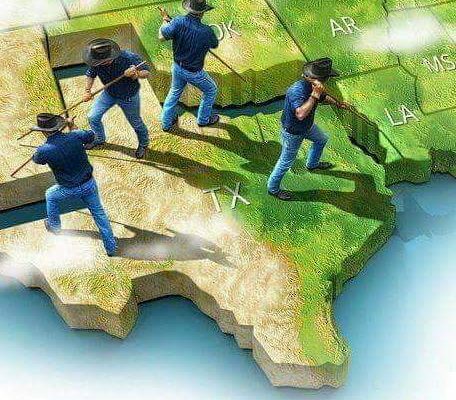 However, I won’t debate the pro’s and con’s of Texas being its own independent republic again. Instead, my interest after reading about Brexit was purely academic and specifically focused on Texas and its energy resources. In other words, could Texas not only make it on its own from an energy perspective, but thrive as an independent nation-producer? It’s no secret or surprise that Texas is the leader in crude, natural gas and wind power production. According to the US Energy Information Administration, Texas ranks #1 in US energy production, producing roughly a whopping 20% of the entire nation’s energy. Texas accounts for nearly 40% of U.S. crude output, with an incredible 11 billion barrels of proven oil reserves, almost a third of the entire national total. More than 25% of the nation’s proven natural gas reserves are in Texas, and almost a third of the entire U.S. marketed natural gas production comes from Texas. Great for fossil fuels you say, but how about renewables? Texas leads the nation in wind-powered generation capacity with more than 16,000 megawatts, and in 2014 Texas generated over 39 million megawatt-hours of electricity from wind energy. Wind power alone accounted for almost 12% of the electricity generated in Texas during 2015. Ok, so Texas produces an immense amount of energy. But how about consumption? After all, the San Antonio-Austin, Houston, and Dallas-Fort Worth areas alone are the 4th, 5th and 6th largest city areas in the nation. In 2014, Texas produced roughly 15,500 trillion BTUs of energy from all sources, the vast majority of that being roughly 8,800 trillion BTUs of natural gas and 5,400 trillion BTUs of crude oil. Meanwhile, internal consumption was only roughly 13,000 trillion BTUs for the entire state, leaving a surplus of 2,500 trillion BTUs as a profit margin. My simple, purely unscientific and personal opinion-based conclusion? Without a doubt, Texas is in a better position to self-sustain and profit (from an energy perspective) than most other states. Texas, with its abundant natural resources, vast energy production, renewable energy developments, independent electrical grid and robust energy infrastructure could certainly not only stand on its own, but be a major power player (no pun intended) in the global energy markets. Texit? I’ll leave that debate for another day. But with Brexit now voted, passed and on the record books, who knows?